Experience Star Trek® like you never have before with behind the scenes secrets of the final season of Star Trek® , the original series. 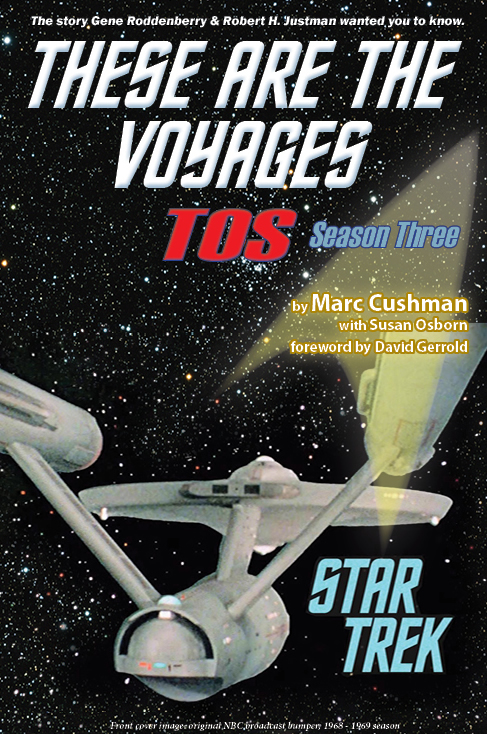 These are the Voyages: TOS - Season Three is the last book of the three-volume collector set written by award winning author Marc Cushman. "Perhaps the reason I like Season Three the most is that it has more new information - more surprises - than even the other two. And that says a great deal, because Season One and Two were filled with new insights. With all three seasons, I experienced the thrill of discovery as I did my research, and I was happy to know that others like myself could experience it through the books. But I always had more questions about Season Three - about the choices that were being made. I wanted to know what they were thinking. And, just as important, how they felt. And now I know. And you will soon know too." Books purchased from Amazon and Barnes & Noble are not signed by the Author.